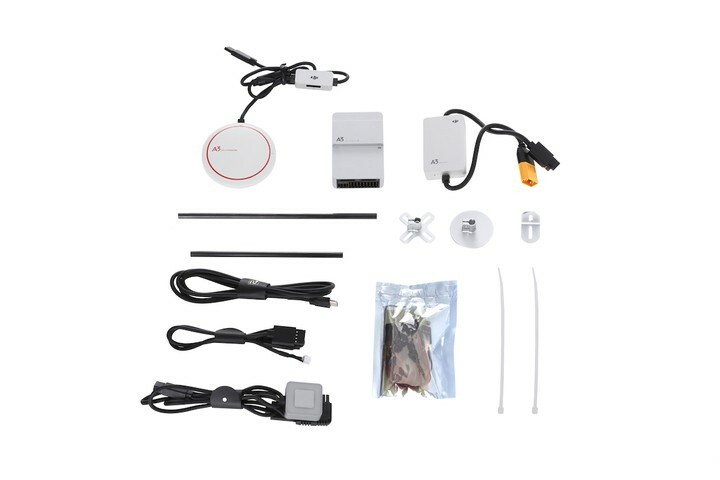 The DJI A3 flight controller is another example of DJI's cutting edge new generation of autonomous flight controllers. 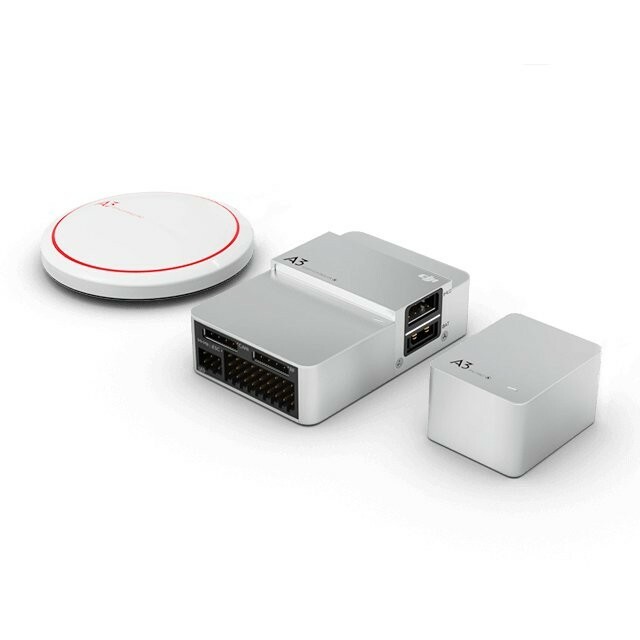 Combining ultimate reliability and improved precision accuracy the A3 is the idea solution for industrial and cinematic applications where reliability and customization are essential. 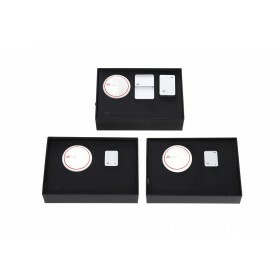 The A3 Pro (Upgrade) is equipped with three IMU's and GNSS units, with additional analytical redundancies for a total of six redundancies. Working together with advanced diagnostic algorithms, if the A3 detects IMU or GNSS failures during flight, it seamlessly switches to another unit on board to maintain precision and reliability. The new attitude determination and multi-sensor fusion algorithms enable the A3 and A3 Pro to be adapted to a wide range of aircraft without the need for manual tuning. 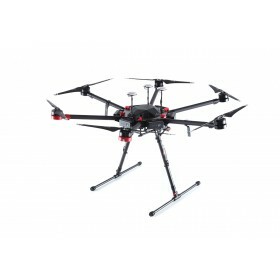 With a fault-tolerant control system, a hexacopter or octocopter can land safely even in the event of a propulsion system failure. 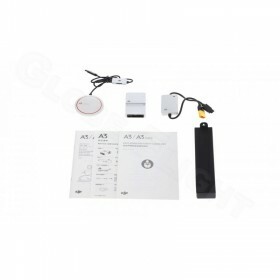 The A3 provides industrial solutions with the use of D-RTK GNSS, smart ESC's, Intelligent batteries and Lightbridge 2. With Onboard and Mobile SDK's, custom-built applications can access flight data and control the aircraft, gimbal and camera. 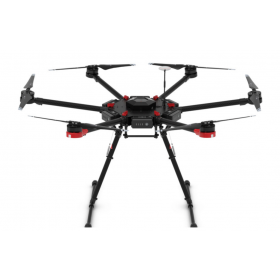 Dedicated hardware interfaces including CAN and API ports allowing industry experts to craft their ideal aerial system by adding actuators and sensors. 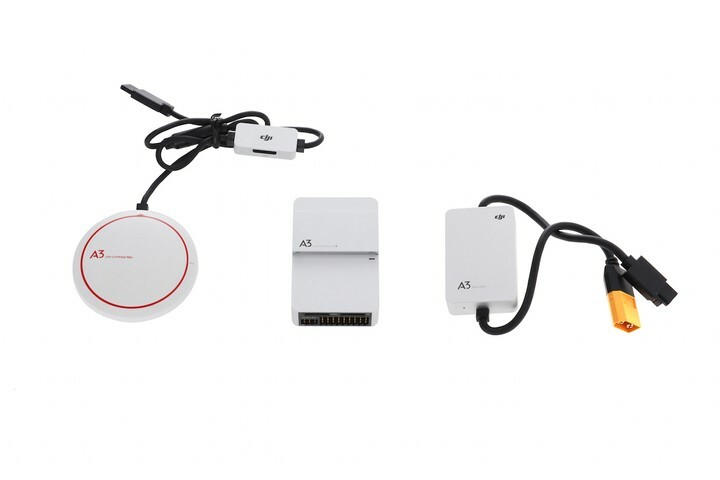 A new generation of assistant software for the A3 (DJI Assistant 2) will be powerful yet simple in design, making it straightforward to set up a variety of DJI aerial systems. Combined with a new built-in flight simulator ensures that complex manauvers can be practiced and polished in advance without risking the aircraft. Also a completely overhauled ground station supports touch screen interaction, offline mission design, route planning and even formation flight for multiple aircraft.